As a recent graduate, I am a strong believer that recruiting young talent is a crucial success factor for both public and private sector organisations. Whilst both sectors continue to scout for young ambitious talent, I believe that local government graduate opportunities offer more than your average private sector graduate scheme. The NGDP is a highly regarded scheme and is ranked in the Times Top 100 Graduate Employers but from my perspective the NGDP need to continue to work to communicate the benefits of a career in local government to graduates. At a time when local government need to challenge themselves in the face of budgetary pressures, working in local government would offer graduates a real opportunity to share new ideas for the future. Not only does working in local government allow graduates to contribute to future thinking, it also allows graduates opportunities to improve people’s lives within the local community. From my experience, working with local government has been very rewarding as I’ve been able to work with some great people from different backgrounds and cultures. The industry is clearly not about dividend returns for shareholders, but a real human element in improving someone’s life and experience of a service. Over the summer I visited a homecare service user and it was rewarding to hear first-hand his experience of the service. Many of my friends have gone down the ‘City’ route and have chosen a career in Insurance, Banking, Finance, etc. rather than a career in local government. I often find that a career in local government is not portrayed in the ‘right light’ to university students and many are simply not aware of the great opportunities it offers. I often have conversations with my friends about their chosen career path, and in particular, what attracted them to a certain industry. From these conversations it is clear that there are several common attractions which graduates look for (i.e. opportunities to work up the organisation, structured training / career development programme, opportunities to network with fellow graduates etc). Three of my fellow colleagues at IMPOWER started their careers with the NGDP and many of these positive experiences are evident in the scheme. What was particularly interesting to hear was that in local government, there is a real need to respond to local community issues. Graduates are attracted to a diverse learning experience and a career in local government certainly offers individuals a breadth of opportunities across the sector. From the employer’s perspective, public sector graduate recruitment tells a different story to the recruitment market as a whole. In 2011 there was a 22% reduction in posts in comparison to a 13% increase in the graduate recruitment market overall, and for the NGDP there has been a significant drop in the numbers recruited. Councils must think about the next generation of managers to enable ambitious graduates to work up the organisation. Too often the age profile of staff in councils is not a reflection of the communities it serves and is over reliant on experience that will retire in the next 20 years. Whilst the NGDP scheme is well structured and there is an abundance of applications, councils should not rest on their laurels and must continue to do more to sell it as a career to graduates. 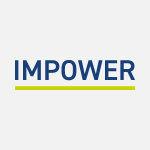 IMPOWER’s research into the skills and aptitudes required by a national management trainee (NMT) highlights the value of business acumen and commercial skills and prompted me to think that the LGA may have to develop a wider campaign to attract those who may not have previously considered a career in local government. The report proposes the use of alumni to promote the scheme; I believe current graduates of the NGDP need to speak positively of their experiences to other university students. At a higher level, NGDP and ambassadors of the scheme need to work to overcome consistent negative media portrayal of the sector as all ‘doom and gloom’ with cuts being made to budgets. Much more focus should be on those talented individuals in local government who are able to deliver highly performing, efficient and effective services. Edward Wallace is a Consultant at IMPOWER. To contact him to discuss this blog please e-mail ewallace@impower.co.uk or call 020 7017 8030.